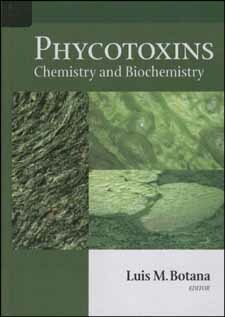 Phycotoxins: Chemistry and Biochemistry presents the most updated information available on phycotoxins. Major emphases are given to chemistry and biochemistry, while minor emphases are given to the aspects of origin, toxicology, or analytical methodology. The book discusses 16 phycotoxins, 7 on those affecting the nervous systems, 4 affecting other body systems, and 4 with undefined targets. In addition, several mechanistic aspects of newer or emerging toxins are covered such as amphidinols or gymnocine. Information presented and coverage of each toxin follows the following distribution: background and toxicology (10%); chemistry, biochemistry and metabolism (75%); mechanism of action (10%); and analytical methodology (5%).